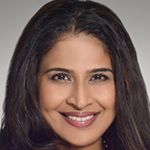 Lavinia Thanapathy is the Immediate Past President of PrimeTime Business & Professional Women’s Association (PrimeTime), a volunteer-led non-profit registered society with around 350 members from 40 countries. PrimeTime provides its members with opportunities for personal and professional development by organising over 50 events a year. She served as President for 3 terms leading a team of over 40 women. As PrimeTime President, she launched KeyNote, Asia’s leading directory for women speakers and is currently editing a book on public speaking for women that will be launched on International Women’s Day 2019. Professionally, Lavinia has an international, 20-year track record in strategic communications and branding for businesses, government institutions and not-for-profit organisations. A lawyer by training, Lavinia is currently a Vice President at the Singapore Council for Women’s Organisations (SCWO) where she chairs the Inspiring Girls programme. She also chairs the Fundraising committee and is co-chair of committee overseeing SCWO’s chairmanship of the ASEAN Confederation of Women’s Organisations (ACWO) from 2019 to 2021. Lavinia is regularly invited to speak and comment on issues around Diversity and Inclusion particularly on issues around women and girls. She speaks persuasively about the business case for inclusion and is regularly invited to comment on current gender issues for conferences and by the media. Lavinia is married and is the mother and stepmother to five children aged 8-28 years.